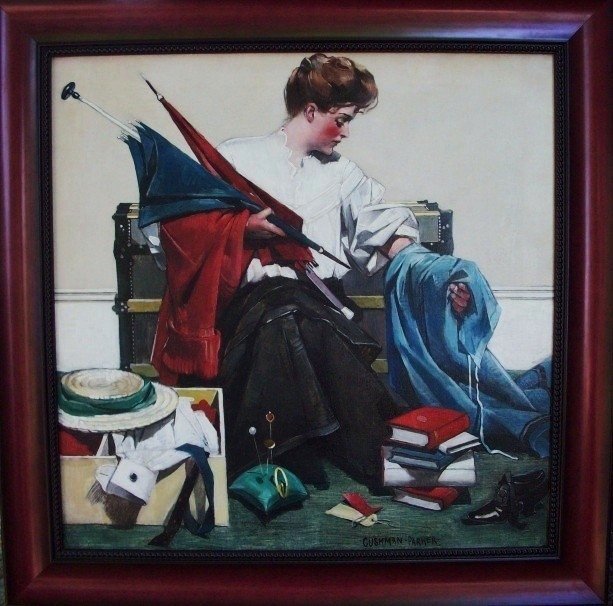 This painting was created by Cushman Parker for the cover of the June 1906 issue of Good Housekeeping Magazine. Here, this beautiful young girl is preparing for a trip, as she decides which items to add to the large trunk, pictured behind her. Ths young woman appears to be the same model also pictured in our December 1906 Good Housekeeping cover painting of a young woman opening her Christmas presents.